But alas, it just doesn't do it for me. Are you guys really in love with this sound? I was tempted to take some Orange gear to rehearsal tonight but after playing through it I remembered quite quickly why its sat in the cupboard. Live and learn I guess and of course, each to their own. Not sure if this is bait, but hell, I'll give it a try. I hate to point of the obvious, but some people like certain things, sounds, tones, movies, tastes and the list goes on and on. 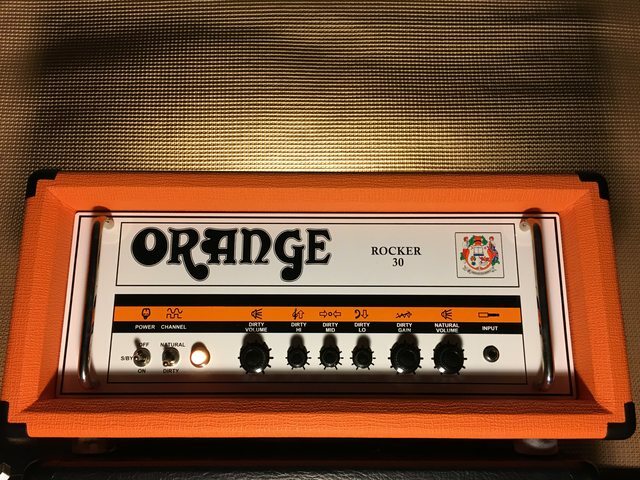 You are not into Orange amps - it's okay, they're not voiced for everyone. Good for you there are tons of other brands you might like. Marshall, Fender, Vox, Mesa - these are the examples. If you ask me, personally, I like Orange amps mostly for their thick, heavy, grainy, and dark tone. They do brilliant job at rhythm parts, can do awesome leads as well. Plus, great versatility - let's take Rockerverb. Wonderful cleans, classic and great crunch and pretty damn glorious mid-to-high-gain tones. FX loop, reverb, 16/8 ohm output. Show me something this amp can't do. Finally, last, but not least, they look so cool on stage - and yes, stage presence is quite important factor for lots of folks. Of course, as always, YMMV. I hope you will find your amp and tone. in the world of amps. I like the fact that with my Dark Terror, I can get down to the business of actually playing my guitar and not having a myriad of controls to negotiate. Most amps non Orange don't stay in my home. I need people like you to buy them. Just sell your gear and move on to another forum. Thanks for trying Please tell us what we should be playing and why your ears set the bar for amp tone. Shame on us, I mean seriously. Jondog, to answer your question, you should be playing whatever you want to play, if it is a particular brand then so be it, at no point did I suggest otherwise, nor at any point did I suggest my ears set the bar for amp tone, if you recall I did finish my post with "each to their own", suggestive that I fully understand taste and its subjectivity. I simply posted because ry as I did, I could not get Orange to work for me and my experience has left me scratching my head wondering what the big deal is and am I missing a point here, is it the fact that I have relatively cheap orange gear and can't really expect it too sound that good no matter what I do with it? What were you expecting to hear from Orange tone? 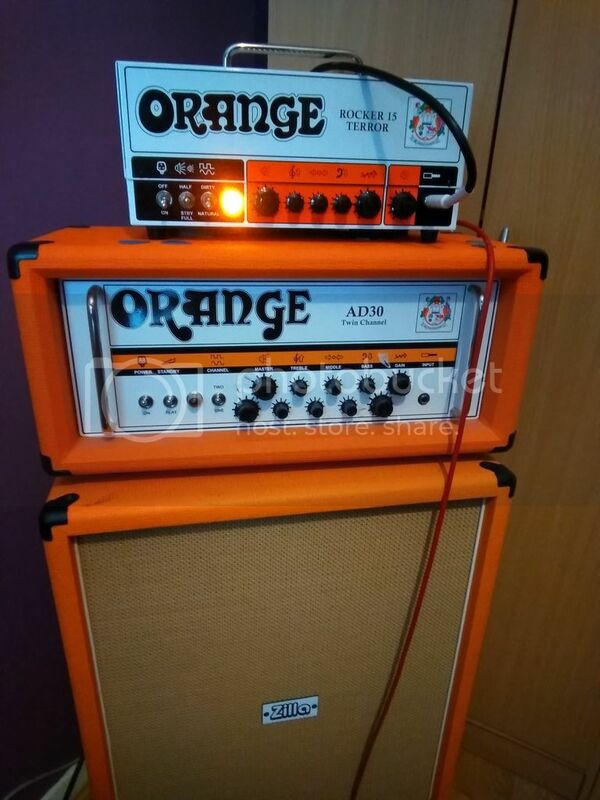 You should explain to us what your ears heard that put you off Orange amps. Is there an amp(s) that you can currently play that does work for you? As for myself, I've never had an amp in many years of playing, that I can't get to work for me. I can get by with them. Getting to love the tone of any given amp is another matter entirely; sometimes requiring patience until an amp gets broken in properly, or whether it gets matched up to a speaker that really brings out the best in them amp. This seemed a little arrogant to me. You can only expect people aren’t going to respond well to that. I responded with sarcasm. I really don’t care if you don’t like the sound. You’re right, to each their own. I like Orange for their dark and low-to-mid gain. I mostly play Fender (Jazzmaster), and I like that I dont sound agressive and fizzy, but creamy and dark. Their is something about Orange's the mid frequencies that I like in band situation. When I want to stand out, I use a fuzz or a boost. I also like Fender and Vox amps, but for now, in my band, my sound is based on the Rocker 15 or the TT. I am not a heavy gain user, so all the 4 stages Orange High Gain machine are not for me. To each is own. I also prefer the Orange clean to many other British cleans. Actually, the clean on the Rocker 15 is one of the best I have heard. I also like the well-made effects loop that Orange have on some amps. Jondog, my question was not intended as arrogant but simply an honest question. How you choose to interpret my question is your responsibility. Back to my point, the honeymoon period was soon over for me, I am not remotely bitter about this, instead, I have learnt something, which is always useful. And now I have an opinion based on my experiences. I am now curious about a couple of things regarding Orange. 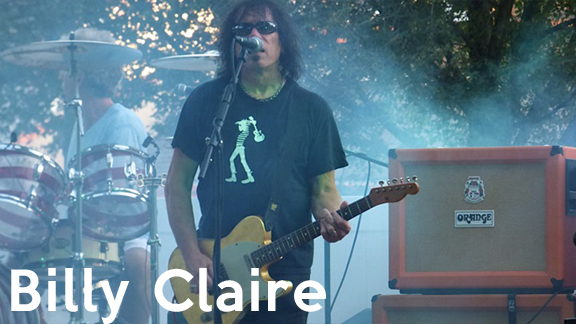 Who, in mainstream western music since 1968 has become synonymous with Orange amps? It appears that there is absolutely nobody. If anyone can correct me I will humbly apologise for my ignorance. When I go to a dedicated music venue to watch touring pro and semi pro musicians why do I virtually never see a backline containing Orange. The same question is asked in relation to pub bands ( I am somebody who plays in a pub band ), it is such a rarity to see anything sporting the Orange badge, WHY? So perhaps I can ask my opening question slightly differently, if you guys are to be believed and Orange is so wonderful why are they not more prevalent? After my experience I believe I may have the answer!! Well, there is Fleetwood Mac. In the 90's, Oasis used them. Jimmy Page now use AD30 amp. John 5 use them. Your point is what made me love even more Orange. They are not normally the amps used by Indie Rock guitarist; so I dont sound like the guitarist from the other band (who probably use a Fender, a Vox or a obscure 60's vintage amp).